Often my best ideas come in the early morning. Every day I get up and search the internet for food stories and it's usually during this time that my mind starts churning. That's when I first thought about creating the Sacramento Food Film Festival two years ago. It's also when I thought about creating Have an Offal Day back in March. I think I was watching some cooking show, probably something with Andrew Zimmern or Anthony Bourdain since they seem to eat the most offal. I suddenly wondered if there was such a thing as a good tasting haggis. I had haggis back when I was in Edinburgh when I was a teenager. I tried it and didn't care for it (I found it bland) and it wasn't until later that I was told it was sheep's stomach filled with intestines and other stuff. So here I am one morning wondering if it was possible to make a tasty haggis. 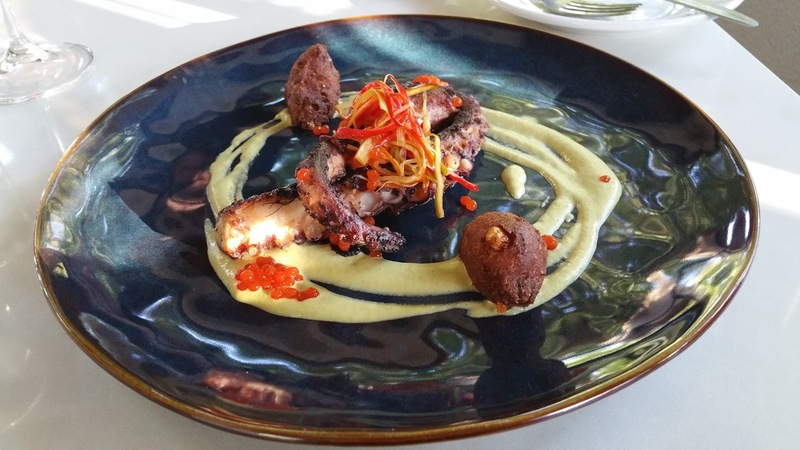 Taking the thought a little further, why not have some event with a bunch of offal dishes? I happen to pretty much know the foodie circle in town. The chefs, the restaurateurs, the bloggers, the general foodies. That's not to brag but to make a point. When these folk all rave about a restaurant then it's time to make note. They don't throw around kudos lightly. The current restaurant with bragging rights for getting the most raves from all foodies in town would be Localis. Located in the space formerly occupied by Tuli Bistro and Trick Pony (21st & S), Localis has been getting the most buzz — all of it great. Milestone birthdays tend to bring out a lot of emotion and thought. Some dread them, others embrace them, many ignore them. 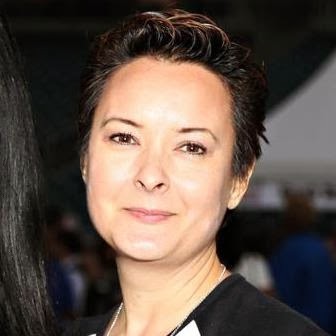 For me, turning 50 was not a dreadful thing. I actually think turning 51 will be more difficult. What it did do was make me more contemplative of my life. One area I've been dwelling on a bit is Friendships. Over the decades people have gotten more and more distant and a lot less civil to each other. One of my favorite movies is Gone With the Wind and I always think to the scene where Rhett and Scarlet are pushing Baby Blue's pram down the sidewalk. Each time they pass someone Rhett tips his hat and they all greet each other — "Good morning, Mrs. Meade." "Good morning, Captain Butler". Even into the 60s and a bit into the 70s people would greet each other at work every morning. Hey, gang. It's that wonderful time of year again! 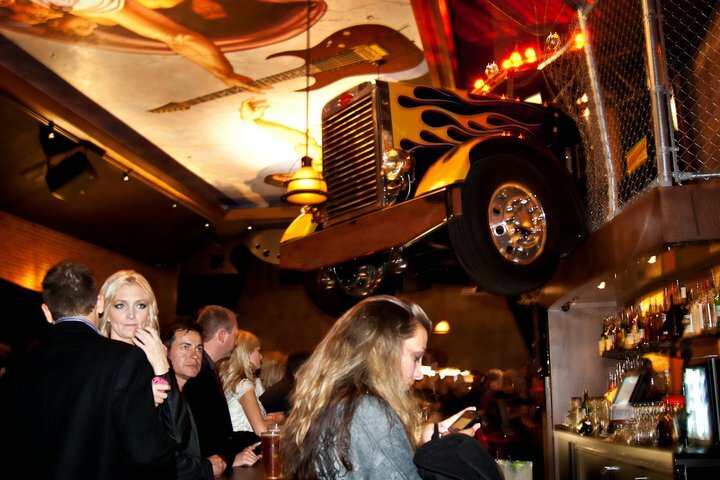 Heritage Fire is one of Northern California's premiere food events with a barrel load of the region's top chefs. From Sacramento to Napa to the Bay Area, the best love to congregate at Charles Krug winery for a day of paleo eating - all meat, all the time. 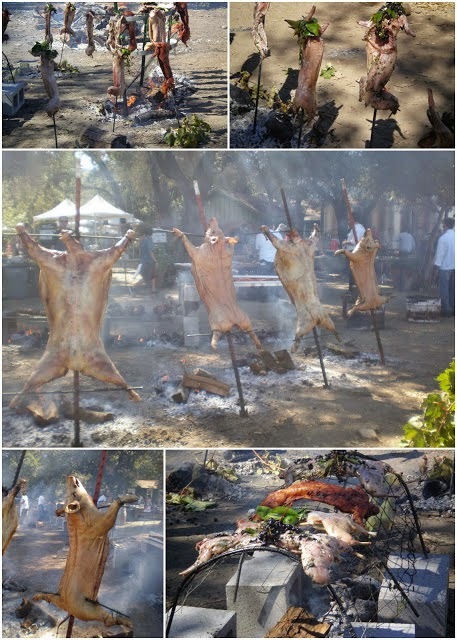 For an overview of last year's event, check out my post highlighting the Sacramento chefs. This year, so far, we have representation by Michael Thiemann who will soon be opening his meat-centric restaurant, Empress. The other chef I will note is one I consider to be an adopted to Sacramento chef, Matthew Accarrino of San Francisco's SPQR. The reason I say that is because he's become good friends with our Sac chefs and Michael Passmore of Passmore Ranch. And, by the way, he was a James Beard Award nominee this last year. During this meat fest you get to dine on all sorts of proteins: rabbit, lamb, pork, beef, sturgeon, chicken, and more! All done over outdoor fire pits. There's plenty more to Heritage Fire. In addition to the meat-laden feast, the event includes animal theatre cooking, butcher demonstrations, lawn games, live music and the opportunity to learn directly from the farmers and producers behind the great wines, brews and ciders of the event. Bring a cooler so that you can purchase some of the butchered meats to take home. Money raised from the butcher sales will benefit the students of the Culinary Institute of America at Greystone. Come join me and our chefs and represent, Sacramento! To purchase tickets, visit the Heritage Fire Napa ticket page. Disclosure: I received a press pass for this post. Ever since Chipotle's build-your-own fast casual concept became popular others have tried to copy the concept. Most popular has been the pizza version. Here in the Sacramento region I've now tried three different ones, Pieology, Blaze Pizza, and now Blast Pizza. The first out the gate was Pielogy, the only one that's managed to find a location in The Grid. Then Blaze launched in Gold River, Davis, and Roseville shortly after. Blast Pizza is out in Rocklin. After having now tried all three, I'm ready to compare. Pieology's crust is made using a pressing machine to flatten out dough balls to make the crust.  I found it a suitable crust for what the place is, fast processing of customers' orders. Thing is, dough is tossed and stretched for a reason. Stretching pulls the gluten threads and makes the crust more tender. Rolling or pressing, then, obviously makes a tougher crust. 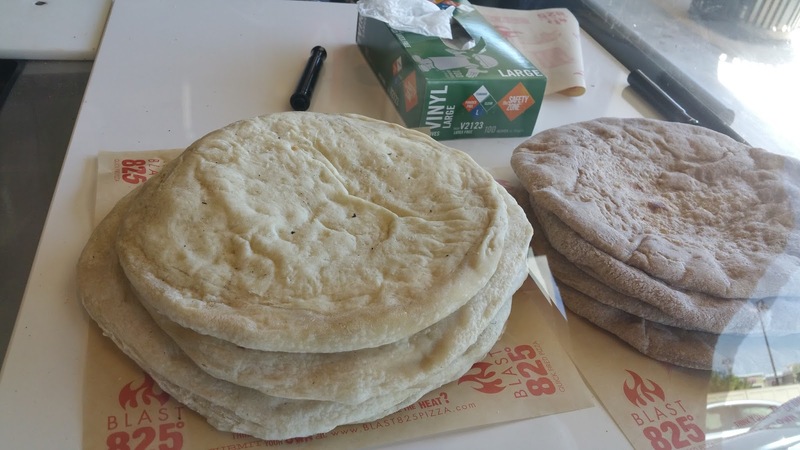 What I immediately thought about Blaze Pizza's crust was that it was like cardboard. My least favorite of the three. Both of these very thin crust versions made for quick cooking in the ovens. Blast Pizza's was the best. They use hand-stretched dough that is made daily and then set ready, much like Michael Johnson of The Pizza Company does for his mobile pizza oven. This crust is thicker, thus taking longer to cook in the oven than the other two. But it was definitely the best of the bunch because of its being thicker and stretched. All three do offer gluten-free crust, but none of them have "clean" situations to keep things away from the flour around the kitchen. Therefore, celiac disease sufferers probably shouldn't eat at any, while gluten intolerant people should be cautious. 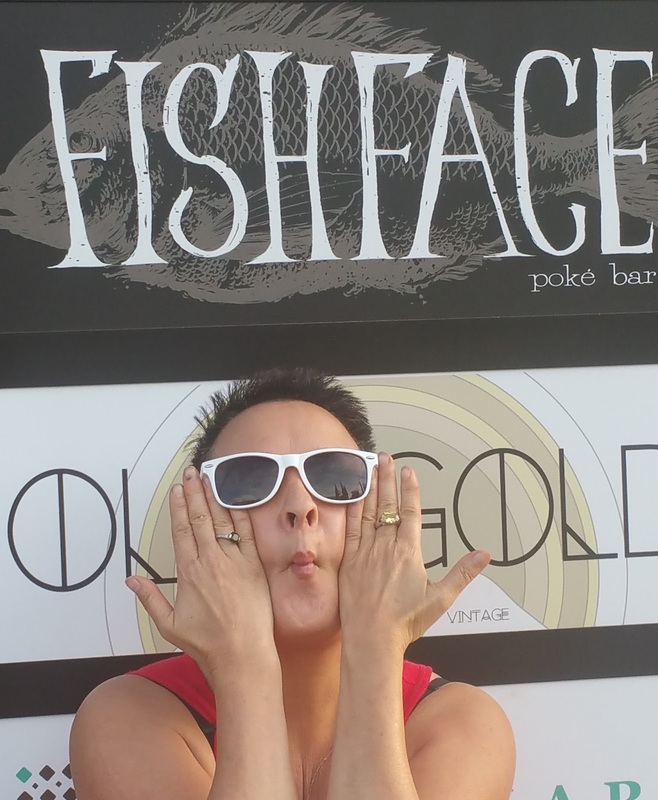 There's a lot of excitement for Thursday's opening of Fish Face, Bill Ngo's newest restaurant. Opening in the refurbished warehouse building at 11th & R Streets, Fish Face is a fast casual concept that is sure to be a success. 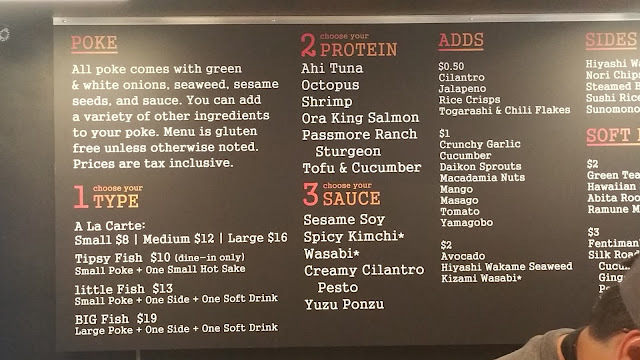 In a day where there are "Chipotle for pizza" and "Chipotle for Asian bowls", FF takes the "build your own" method and applies it to Hawaiian poke. 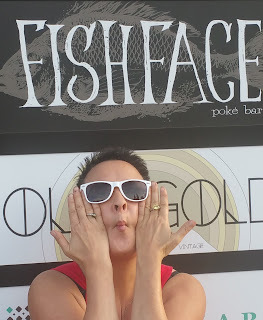 There will be plenty of people that we will never see at FF...those who don't do raw fish. Poke is chopped or sliced pieces of raw fish tossed with extras and sauce. Bill takes this and expands it so that you order it the way you want it, just like building a Chipotle burrito. 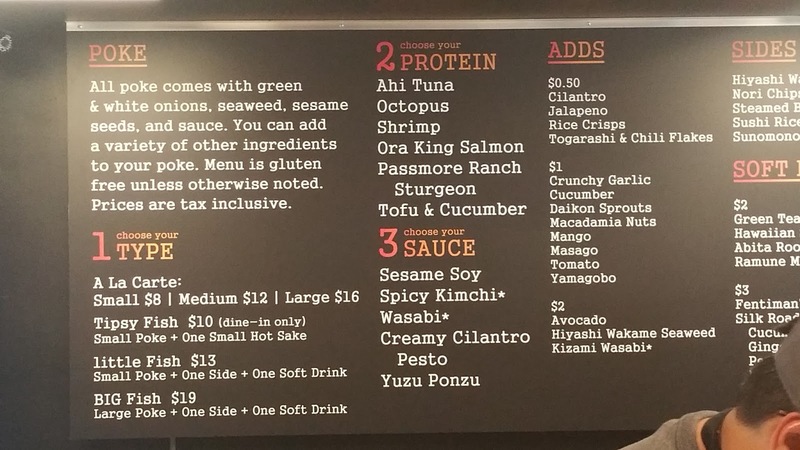 Pick your seafood (ahi, octopus, shrimp, or even tofu), select a sauce, then add what extras you might like (seaweed, avocado, jalapenos, etc.). 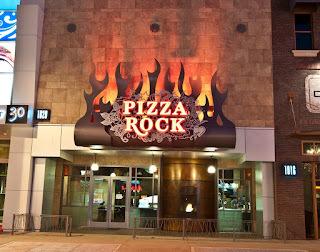 Pizza Rock offers how many styles of pizza?!?! 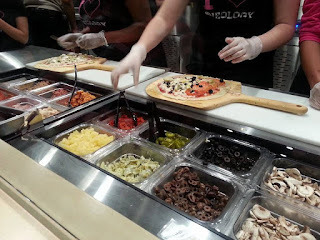 Yes, I've eaten at Pizza Rock on occasion, yet one can get an entirely different perspective when meeting the owner and learning more about the restaurant. Media events allow bloggers this opportunity so that we can share what we learn with our friends and readers. This week Pizza Rock's owner, Tony Gemignani, was in town to share some items that were being added to the menu at our Sacramento location. Now most people may not realize who Tony Gemignani is in the pizza world. He's a pizza rock star. In 2007 he was the first American/non-Italian to win the World Champion Pizza Maker at the World Pizza Cup in Naples, Italy. This was a very big deal, like when Napa wines beat French wines in 1976 (depicted in the movie Bottleshock). And actually, when you look at his pizza bio on the World Champions site, you learn that he actually has won 11 World Champion titles! Being the foremost American expert on pizzas, Tony now teaches classes on pizza making and has a book out, The Pizza Bible, covering every style pizza imaginable. 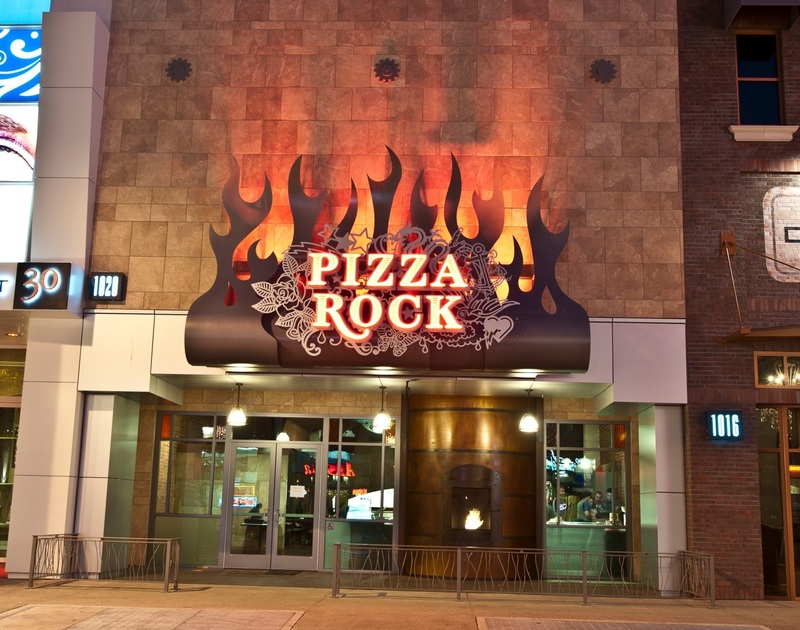 The Sacramento Pizza Rock is only one of 14 restaurants that he owns in Northern California and Las Vegas. Unfortunately I think most Sacramentans just associate it with "the restaurant with a semi truck coming out over the bar". As I've been doing a lot of restaurant profiles for restaurants and restaurant groups/chains across the entire country (for my day job), I've learned a lot about quality and what makes a restaurant group a success so that it can expand. Tony has obviously found a winning formula by supplying the public with every pizza they could ever want. Turns out that Pizza Rock has 9 styles of pizzas and 4 different pizza ovens. I even learned of a couple of pizzas I'd never heard of before. Sure they serve American and Neapolitan, but they also have regional styles such as New York, New Haven, and Detroit. Keep in mind that all of these different styles require different crust recipes, pans, ovens, and temperatures. That's why there are always at least 4 pizza ovens in each of Tony's restaurants. Whether it's coal or wood fired, bread or cornmeal crusts, Tony makes sure that each pizza is made properly. For those that are gluten-free, they have a station and a dedicated oven just for gluten-free pizzas.